It is equipped with a medium-hard bite wedge. 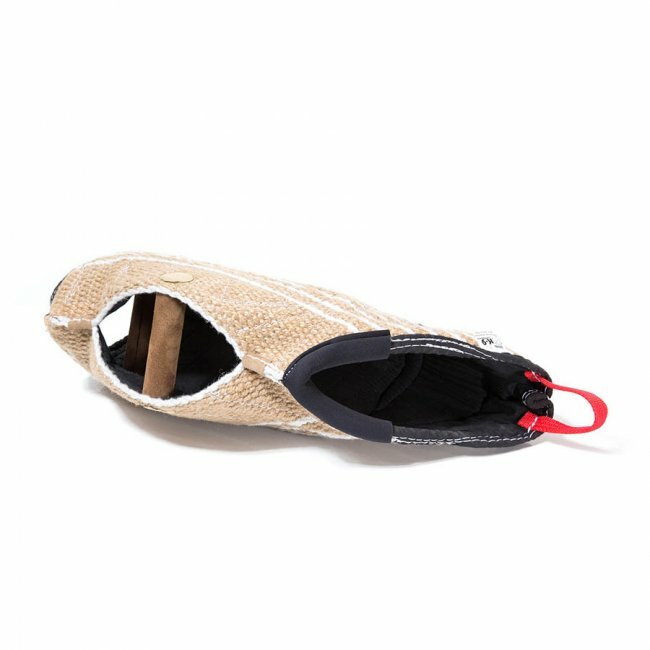 The jute version is made of the thickest jute fabric, while the cotton/nylon version is made with inner fabric reinforcement. 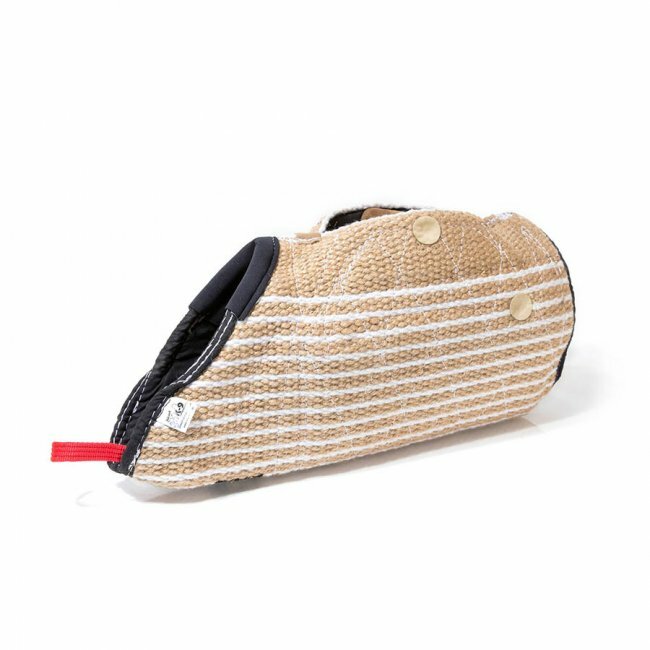 In addition to a wide range of bite wedges the JULIUS-K9® young dog sleeve (extra flexible bite wedge equipped with a shoulder protector) developed in 2015 can be an ideal reward for your 6-8-month-old dog. 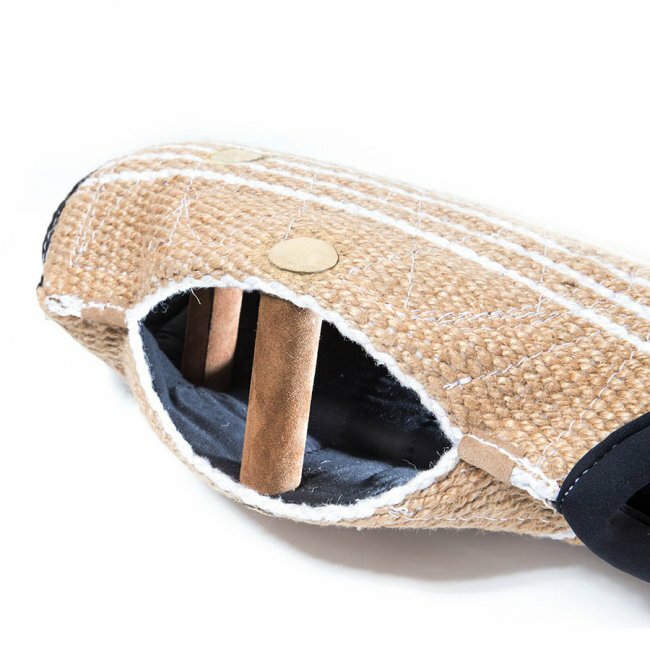 Wearing it, in addition to maximum comfort, allows the trainer to perform playfultug-of-war, sleeve training or when held by the wooden handle, “swinging” training. Due to its inner plastic reinforcement the sleeve is super lightweight and at the same time amazingly stable and bite-proof. These are available with cover made of cotton/ nylon fabric made by JULIUS-K9®. 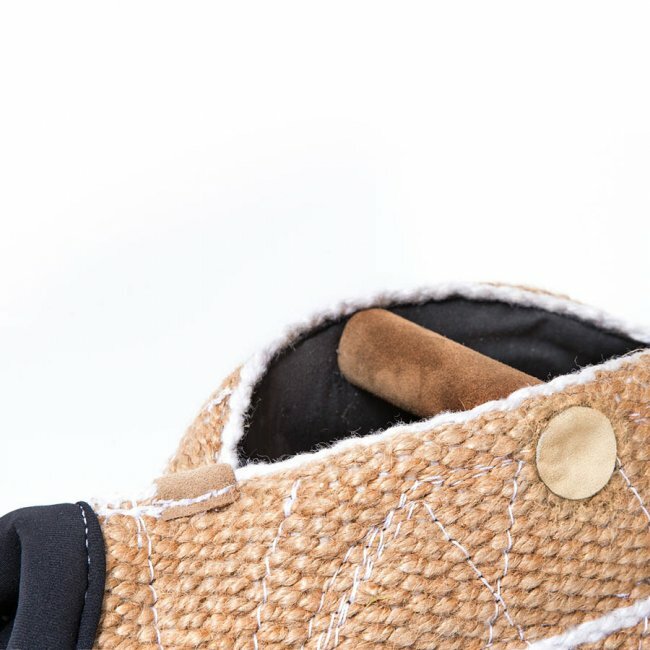 The size of the prey is increased for the dog by the shoulder protector made of a soft material as an extension of the material of the sleeve. Neither the weight nor the size of the sleeve causes a problem for the dog to carry it as a reward. Its weight distribution is symmetrical, encouraging the dog to grab and to hold it at the middle.